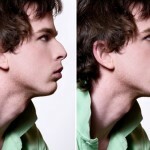 Home » Rhinoplasty » How is Functional Rhinoplasty Performed? There are several different types of rhinoplasty, when it comes to how the rhinoplasty procedure is performed and what is the main purpose and goal of the rhinoplasty procedure. There is one type of rhinoplasty that is specifically done to help the patient improve his or her breathing patterns, due to a nasal obstruction caused by a deviated septum, trauma to the nose, injury to the nose, etc. 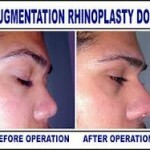 The type of rhinoplasty I am referring to is the functional rhinoplasty. Functional rhinoplasty is done to help in improving the nose of a person with a deviated septum, functional rhinoplasty is usually done together with septoplasty, a surgical procedure specifically for the repair of a deviated septum. It will be up to the patient’s and surgeon’s preference whether functional rhinoplasty will be performed as an open rhinoplasty or as a closed rhinoplasty. In open functional rhinoplasty, incisions will be made on external portions of the nose, wherein incisions are quite visible. And in closed functional rhinoplasty, incisions are made completely hidden through the internal portion of the nostrils. Depending on the severity of the problem in your nose’s structure, it may be needed to undergo grafting using cartilage or bones. When doing cartilage grafting, cartilage from the earlobe or cartilage from the ribcage are usually used. However, there are times that cartilage from the nasal septum is acquired to be use in nose cartilage grafting. To further improve support and functionality of the nose through functional rhinoplasty, sutures to the cartilage can be done. After performing functional rhinoplasty, the external portion of the nose is usually taped and a cast will be applied to aid in the healing process. 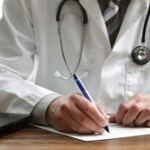 Aside from tapes and nose external cast, nasal packing and/or plastic sheets are also sometimes placed inside the nose. However, there are already a lot of surgeons who do not use plastic sheets and/or nasal packing after the functional rhinoplasty or any types of rhinoplasty performed. 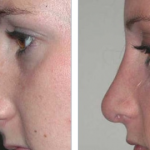 Placement of nasal packing after functional rhinoplasty will only depend on the surgon’s reference.